The world is Earth, probably west coast of the USA, in the throes of severe climate disaster; major storms, earthquakes, droughts, fires and floods are the norm. 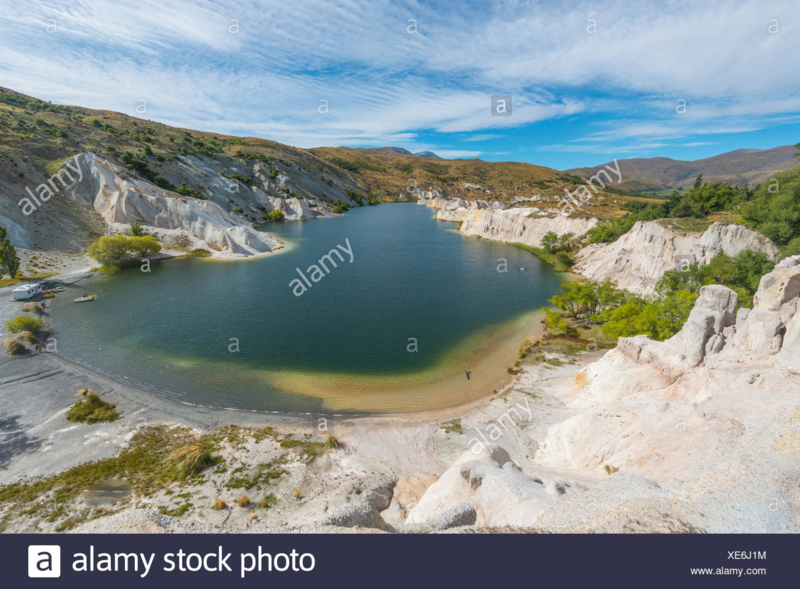 I am looking for a way to suddenly alter the geographical landscape so that a natural border that keeps people out suddenly becomes easily permeable to a few. I imagined the following: a mountain splits (like a log being split) due to an earthquake, thus creating a pass where none existed before, but I'm not sure if that's actually possible. Is it? Open to other suggestions as well! Thank you. Megaflood from melting ice dam. 10,000 years ago, at a time when humans recorded historical events by telling mythical stories that got passed from one generation to the next, huge parts of the North American continent were deluged by massive walls of water. They were, as geologist David R. Montgomery writes in this month's Discover magazine, "Biblical-type floods." Huge regions of the Pacific Northwest, called the "scablands" were chewed up by flash floods that were more like tsunamis. And it was all caused by the melting of the glaciers from the last ice age. As the walls of ice damming lakes melted away, the waters would rush out across the land. Big things happened fast when the ice dams gave way. Large lakes suddenly drained. Large areas of dry land were suddenly washed away or carved into canyons by fast moving waters. I have seen it suggested that the Hudson River valley was carved in a matter of weeks. Areas that were previously dry could become covered with new lakes. Your impassable area (a treacherous canyon, or impassable Hawaiian style lava fields? Or pricker bushes! Or stuff from this question) could be washed away when the ice dam broke, or covered with water you could canoe across. Or a lake impassable because of lake monsters might suddenly drain dry. Resist the temptation to poke the stranded monsters with a stick as you walk by them. Most roads have been destroyed (mudslides, earthquakes, floods), cars are a thing of the past, water is scarce. Drought will lower the level of lakes and rivers. While the levels won't change super quickly, they still have tides (larger lakes have their own tides and rivers connected to the ocean sometimes do). So levels go up and down during the day. Sometimes a very small change in water depth can make a big change to the surrounding land. It might only take 1-2 inches of change to turn a lake or sea surrounded by impassable cliffs into water surrounded by a pathway alongside impassible cliffs. If the place is a huge lake or even an ocean, people could wait until the thick of winter to cross. By then, the low temperatures should have frozen the water surface hard enough for people to cross. I'm gonna fail to quote the exact historic event here, but I remember seeing some hyphotesis that stated that people crossed continents like this (Europe to North America if I'm not mistaken) during a very harsh winter (this is just a theory though). Depending on the place, low tides can reveal quite a lot of walking ground. Of course tides change rapidly, so people would both have to move fast and have specific places to wait out while the water is too high, but it's doable. Maybe your story could have this rocky, seemingly endless, coastline where people would walk in low tides and hide in caves while the water's too high. This is natural phenomenon that manages to cause quite the damage to what appears to be rock solid foundations. 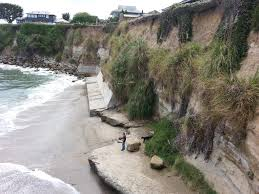 Maybe years and years of erosion could end up eating what was once a great natural barrier. Maybe it's not completely gone, but it's damaged enough to enable people to cross it. If your scenario is canyon-like, a flood of biblic proportions could turn it into a huge lake. Yeah, I realize how ludicrous this is - It sounded awesome so I said it. You could also use the opposite of this (the drought), which was mentioned by Cyn in his answer. I don't really see a forest as an obstacle, since you can push through a forest even if it's very dense (if you have the right gear, that is). But if your forest is dangerous (maybe inhabited by crazy perilous wild animals) this could be an answer. No forest, no problem. I also thought about a vulcanic eruption, since lava turns solid in touch with water. I can't think of a specific situation where this would apply, but you have my permission to go nuts with this, if you want to. To begin with, it seems that you are postulating a non-technological society. After all, in our own (very much technological) there simply aren't any barriers we can't cross, right? So, with a much less capable society in mind, I suggest you read the Engineer trilogy (starting with "Devices and Desires") by K.J. Parker. He provides two countries separated by an untrackable desert, which effectively is uncrossable. It's not actually uncrossable, of course, but the effort required to find a crossing is so great that nobody manages it. Uncharted deserts are inhospitable, and with no direct motivation no one has found the way. It turns out, though, that an underground river does cross the desert, and for a week in spring the water table gets high enough to allow a certain desert flower to bloom. During this brief window of time it is possible to follow the course of the river and establish a path through the desert, although you can specify that the desert is broad enough that it takes several years to do the job, one week at a time. Once the path is known, it's simply a matter of carrying enough water to survive the passage. So long as knowledge of the path is kept secret, the few possessors of the secret can readily cross the uncrossable desert. Not the answer you're looking for? Browse other questions tagged geography climate-change earthquake or ask your own question.